Marfan, TAAD, Loeys-Dietz, Ehlers-Danlos, Shprintzen-Goldberg, etc. Thoracic aortic aneurysms and dissections include a group of diseases with different physiopathological mechanisms triggering the occurrence of each of them. Among these pathologies are the following genetic syndromes: Marfan, familial thoracic aortic aneurysms and dissections (TAAD), Loeys-Dietz, Ehlers-Danlos and Shprintzen-Goldberg; all of them are inherited following an autosomal dominant pattern. Penetrance and expressivity are variable, depending on the type of syndrome and on other factors such as age of onset of the disease, location of the aneurysm and degree of dilatation of the aorta before dissection. Subjects under suspicion or clinical diagnosis of familial thoracic aortic aneurysms and dissections, whether in their syndromic (i.e. associated with a set of clinical characteristics including vascular involvement, as is the case of Marfan syndrome) or non-syndromic forms (when vascular involvement occurs in isolation). Familial study: A search for the mutation previously identified in a proband (relatives of patients with syndromic or non-syndromic familial thoracic aortic aneurysms in which a mutation has been previously identified). In the absence of a family history of Marfan [aortic root growth (Z-score ?2.0) and one of the following findings: ectopia lentis or pathogenic mutation in FBN1 or systemic score ?7]. In the presence of a family history of Marfan [using this criterion, diagnosis can be established for a proband’s first-degree relative in three situations: ectopia lentis or systemic score ?7 or aortic root growth (Z-score ?2.0 for ?20 years old or Z-score ?3.0 for <20 years old)]. Table 1. Systemic score. Maximum total 20 points; a score ?7 indicates systemic involvement. US/LS: upper to lower segment ratio. As for ectopia lentis, there are differential diagnostic criteria including ectopia lentis, ectopia lentis with ectopic pupil and Weill-Marchesani-like syndromes. The two former present an autosomal recessive inheritance patterns and the latter has an autosomal dominant pattern. The three syndromes can be confirmed by a genetic study when a pathogenic mutation in ADAMTSL4 gene is identified. Familial thoracic aortic aneurysms and dissections (TAAD): The genetic testing can identify a pathogenic mutation in ACTA2, TGFBR2, SMAD3,and TGFBR1 genes (in 10%, 4%, 2%, and 1% of all clinically diagnosed cases, respectively) and MYH11, MYLK and FBN1 (less than 1% of clinically diagnosed cases). Loeys-Dietz syndrome: The genetic testing can identify a pathogenic mutation in TGFBR2, TGFBR1, SMAD3 and TGFB2 genes (in 70%, 20%, 5% and 1% of all clinically diagnosed cases, respectively). Vascular Ehlers-Danlos syndrome: The genetic testing can identify a pathogenic mutation in the COL3A1 gene (in 95% of all clinically diagnosed cases). Other Ehlers-Danlos syndrome types: classic type [COL5A1 (mutations in this gene are identified in 46% of patients with a clear diagnosis of classic EDS), COL5A2 (mutations in this gene are identified in 4% of patients with a clear diagnosis of classic EDS)], kyphoscoliosis type [PLOD1 is the only gene described for this pathology], arthrochalasia type [COL1A1 and COL1A2 (skipping and deletion mutations in these 2 genes have been identified in cases with a clear diagnosis of this type of EDS)] and EDS variant with periventricular heterotopia (mutations in FLNA have been described in this case). Shprintzen-Goldberg syndrome: The genetic testing can identify a pathogenic mutation in the SKI gene (in clinically diagnosed cases). 2010 ACCF/AHA/AATS/ACR/ASA/SCA/SCAI/SIR/STS/SVM guidelines for the diagnosis and management of patients with Thoracic Aortic Disease: a report of the American College of Cardiology Foundation/American Heart Association Task Force on Practice Guidelines, American Association for Thoracic Surgery, American College of Radiology, American Stroke Association, Society of Cardiovascular Anesthesiologists, Society for Cardiovascular Angiography and Interventions, Society of Interventional Radiology, Society of Thoracic Surgeons, and Society for Vascular Medicine. Hiratzka LF et al. Circulation. 2010 Apr 6; 121(13):e266-369. Marfan Syndrome. Harry C Dietz. GeneReviews. 2014 June 12. Thoracic Aortic Aneurysms and Aortic Dissections. GeneReviews. 2014 June 12. Loeys-Dietz Syndrome (Loeys-Dietz Aortic Aneurysm Syndrome). GeneReviews. 2013 July 11. Ehlers-Danlos Syndrome Type IV (EDS Type IV; EDS, Vascular Type). Melanie G Pepin and Peter H Byers. GeneReviews. 2011 May 3. Shprintzen-Goldberg Syndrome (Marfanoid-Craniosynostosis Syndrome). Marie T Greally. GeneReviews. 2012 January 12. The probability of identifying a variant related to familial thoracic aortic aneurysms and dissections depends on how distinct the signs and symptoms of the disease are and on the suspected syndrome. It ranges from over 90%-95% in cases with Marfan or Ehlers-Danlos syndrome with established diagnosed criteria, to considerably lower values for other etiologies such as familial thoracic aortic aneurysms and dissections.Marfan syndrome: The genetic testing can identify a pathogenic mutation in the FBN1 gene (in 70% to 90% of clinically diagnosed cases).Familial thoracic aortic aneurysms and dissections (TAAD): The genetic testing can identify a pathogenic mutation in ACTA2, TGFBR2, SMAD3 and TGFBR1 genes (in 10%, 4%, 2%, 1% of all clinically diagnosed cases, respectively) and MYH11, MYLK and FBN1 (less than 1% of clinically diagnosed cases).Loeys-Dietz syndrome: The genetic testing can identify a pathogenic mutation in TGFBR2, TGFBR1, SMAD3 and TGFB2 genes (in 70%, 20%, 5% and 1% of all clinically diagnosed cases, respectively).Vascular Ehlers-Danlos syndrome: The genetic testing can identify a pathogenic mutation in the COL3A1 gene (in 95% of all clinically diagnosed cases).Other Ehlers-Danlos syndrome types: classic type [COL5A1 (mutations in this gene are identified in 46% of patients with a clear diagnosis of classic EDS), COL5A2 (mutations in this gene are identified in 4% of patients with a clear diagnosis of classic EDS)], kyphoscoliosis type [PLOD1 is the only gene described for this pathology], arthrochalasia type [COL1A1 and COL1A2(skipping and deletion mutations in these 2 genes have been identified in cases with a clear diagnosis of this type of EDS)] and EDS variant with periventricular heterotopia (mutations in FLNA have been described in this case).Shprintzen-Goldberg syndrome: The genetic testing can identify a pathogenic mutation in the SKI gene (in clinically diagnosed cases). 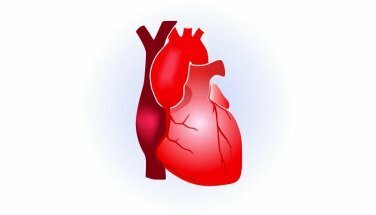 This panel is indicated when aortic vascular diseases (aneurysms or dissections) are present without a clear cause, and especially when they present a familial pattern or any of the above-mentioned syndromes are suspected. It includes all genes associated with these pathologies (priority, secondary and candidate) gathered from a systematic literature review. Priority Genes: These genes include >70% of the mutations that have been previously associated with the development of aortic vascular diseases and/or their study is recommended in the guidelines. Secondary genes: Other genes related to the disease. *Candidate genes: With no evidence, but likely to be related to the phenotype.